Squishy wrote: Looks like the proposal for 172 was purely to address racing, not speeding/stunting. Maybe the media shouldn't get the blame - but it's stupid how people want to argue semantics. Trying to argue that, "There was only one car! How can that be RACING?!" as if that would get the charge thrown out. Is it dangerous to do any of the actions classified as stunting or racing by the HTA? Yes it is. So don't do it and no one will have to worry about the consequences. With all the media coverage this has gotten, I'd say 90%, if not 100%, of the province's drivers know of 172. If someone knows the consequences but chooses to break that law anyways, they deserve what they get. No Squishy it was proposed with the title STREET RACING to sell it to the public! O.P.P Constable Tapp was charged under HTA 172, minus the impoundment of the police vehicle and found innocent AFTER his day in court! Did the Officer that laid the charges make a mistake or did she lie? Or did Constable Tapp lie or did he misread his speedo? Will one of them make the same mistake when they pull over the next DAMN STREET RACER? I wrote Julian Fantino letter asking him the same questions, to my surprise I never recieved any response, maybe he's just to busy excersing his right to Due Process with his own legal battles. Maybe you can get response from him! Commissioner Fantino, 3rd floor, 777 Memorial Avenue, Orillia, Ontario, L3V 7V3. And that's the problem with people disregarding this law just because they don't agree with it. 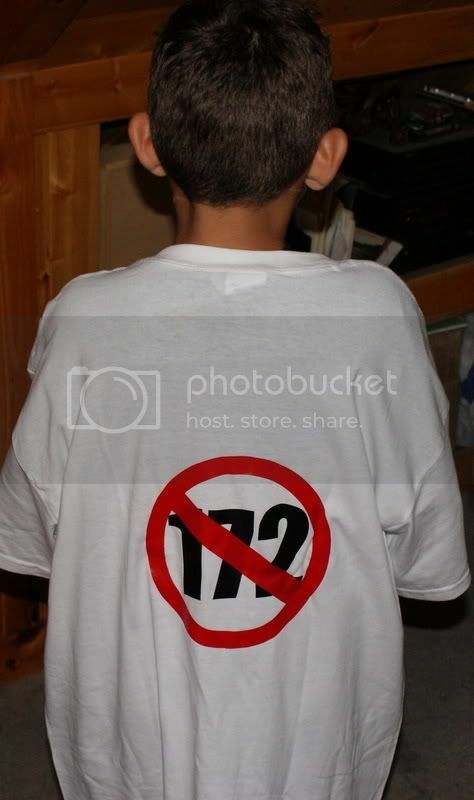 If you continue to violate 172, then a lot more valid cases will make it to court. The lies/mistakes will get lost in all the cases that do result in a conviction. If people stayed within the law and then pointed out, "Hey, most of these 172 tickets don't result in convictions," then it's a lot more likely that 172 will be rewritten. Same with the speed limits. Just disregarding it and speeding isn't going to solve the problem. If everyone drove at the limit, then we would know whether or not 100 km/h is appropriate. I have been on heavily patrolled interstates where the majority of drivers are under or at the speed limit of 60 - they don't seem to have a problem with it. 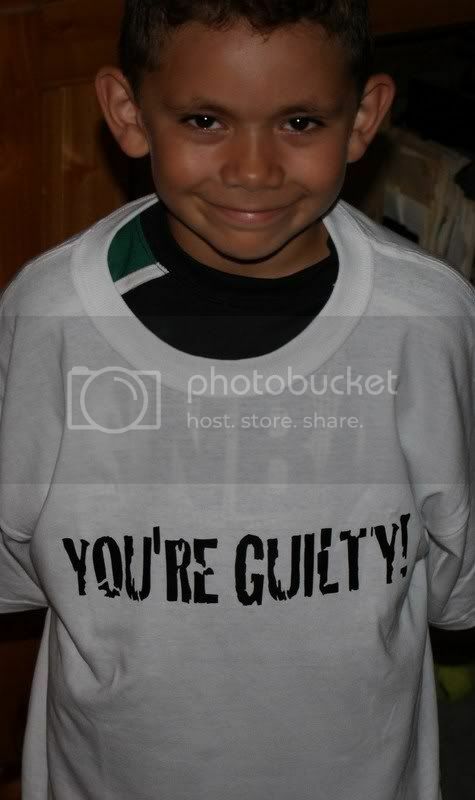 YOU"RE GUILTY until proven innocent! And even after being found INNOCENT, you're STILL on the HOOK FOR all FEES! The accused will have to pay $150 to have his licence re-instated. That fee on top of the cost of towing and impounding the vehicle means the driver will be out about $1,000 before he even gets to court, Woodford said. No sense in beating a dead horse! I agree that the roadside suspension and impoundment are too harsh and probably do violate our Charter (not a lawyer so I can't be 100% sure) - the way 172 is set up, it seems to assume that officers don't make mistakes and never let personal feelings influence things. But violating 172 anyways and then trying to get the cases dismissed is the wrong way to protest it, in my opinion. As the law is already in the books, you should be held to it until it is repealed and should suffer the consequences if you knowingly violate that law. After re-reading the last bit of this thread, I'm not even sure we're debating the same thing. I'm saying that what 172 tries to stop is a good thing, regardless of the methods used to stop it. I think you're saying that 172 is unconsitutional and thus should be changed - which I don't necessarily disagree with; but we should still have stiff penalties associated with stunting and racing that are imposed by a court. regardless of the methods used to stop it. How would you like it if you had a grease fire in the kitchen and the fire department knocked down the entire house? And for the time that that policy is in place, I would make damn sure my kitchen didn't catch fire. What if your neighbour had the fire and the fire department knock down your house???? This law is too much power and not enough control..
Squishy wrote: regardless of the methods used to stop it. Are you saying that the end justifies the means, in your opinion? Squishy wrote: I would make damn sure my kitchen didn't catch fire. And how many people who have kitchen fires actually meant for their kitchen to catch fire? In 2006, the government of Canada made street racing a criminal offence. This was long before Bill 203 came into effect, bringing the mandatory impoundment with it. There were already many laws in place that offered options to police and the Crown, some of them featuring jail sentences and permanent seizure of the vehicle after a conviction. It was all constitutionally valid. It offered recourse and options for the accused, while section 172 does not. What happens in three or four years when this law is found to be unconstitutional? All of the innocent get a big cheque and apology, which is good. What's bad is that all of the guilty will also get a big cheque and apology and will be free to continue to drive like maniacs, because to pay compensation, how do you think the government is going to come up with the money? Sorry about that, I hope you drink decaf or half decaf! Did you spin the tires under acceleration this winter on any of the vehicles in your garage? Radar Identified: Do you think McGuinty cares who's going to pay for it, thankfully he won't be around and he knows it! Look at how he is relieving the burden that Mike Harris did when he downloaded costs to the City of Toronto! Now he says the government will start uploading costs again, it will only take 10 years for it to be where it was before, leaving the burden for the next guy. No, I'm saying that just because a law can be deemed unconstitutional does not mean that the purpose of the law is no longer valid. With that statement, I am referring to those who insist on going 50 over because they feel 172 should not be enforceable. And yes, I have spun my tires this winter, but not intentionally. The act requires intent to fall under the definition of stunting. Obviously, this can be misinterpreted by an officer as intentionally spinning tires if I keep it up for too long (e.g., getting out of deep snow), but we have to put some degree of trust in our officers. We pay them to make these kind of judgement calls - some of them will make mistakes and some of them are dicks, but all of the officers I have come into contact with have been reasonable with good attitudes. Radar Identified wrote: Sure you can blame others for "getting in his way," but any driver with half a brain would not drive faster than a speed that would enable him or her to reasonably react to other drivers on the road and their stupidity. At 250, that is not possible. That even happens to me with all lights activated, drivers just aimlessly pull out in front of me....happens on the 401, happens on 2 lane hwys from people on cross roads......and I'm nowhere near 250. Must be the Mexican fire department, Jose and Jos"B"
M0J0 wrote: Do you think McGuinty cares who's going to pay for it, thankfully he won't be around and he knows it! If compensation is ordered to people who had their cars towed under 172, they'll likely either hit the police budget or something else that Ontarians can't afford to have diminished in order to pay. And depending on how quickly the challenges to this law go through the courts, he could very well still be Premier when the bill comes due. Squishy wrote: No, I'm saying that just because a law can be deemed unconstitutional does not mean that the purpose of the law is no longer valid. With that statement, I am referring to those who insist on going 50 over because they feel 172 should not be enforceable. Okay, thank you for clarifying. That said, I don't think too many people are driving more than 50 km/h over the speed limit just because they feel the law is not valid. Many of them were just speedy drivers before the law came into effect, and they continue to be so. However, when 172 is struck down, all of the acts that are stunt driving/racing would still be illegal and have some serious consequences. The other thing is that 172 may actually be letting some real idiots off lightly. Consider this for a moment... and hwybear can correct me if I'm wrong here... Let's say the guy going 250 km/h got arrested for Dangerous Driving instead of being charged under section 172. Crown has to show cause for the charge, so it goes before a Justice. The Justice goes and orders his licence suspended until disposition of the case. After he gets convicted, I believe that they could've ordered him to forfeit his car. I'd rather have people caught doing such insane things face those sorts of consequences, the difference being the evidence needs to be presented in court before the heavy penalties come into play. Which illustrates my point, the guy was going too fast to react to anything, and I doubt he'd been given any sort of high-speed pursuit/driver training that would've been on the same sort of level that you've got. Radar Identified wrote: Okay, thank you for clarifying. That said, I don't think too many people are driving more than 50 km/h over the speed limit just because they feel the law is not valid. Many of them were just speedy drivers before the law came into effect, and they continue to be so. However, when 172 is struck down, all of the acts that are stunt driving/racing would still be illegal and have some serious consequences. I agree, but I have met several people with the exact attitude I described. I guess they would be "borderline" in their habits about whether or not to break that law - give them a law that they deem reasonable, and they will follow it; make a law with the same prohibitions but "unreasonable" penalties, and they will disregard it as if it doesn't exist. I know one person who follows the majority of traffic laws, but won't recognize mall stop signs because they are not enforceable under the HTA. Otherwise, he knows the HTA and follows it better than anyone else I know.